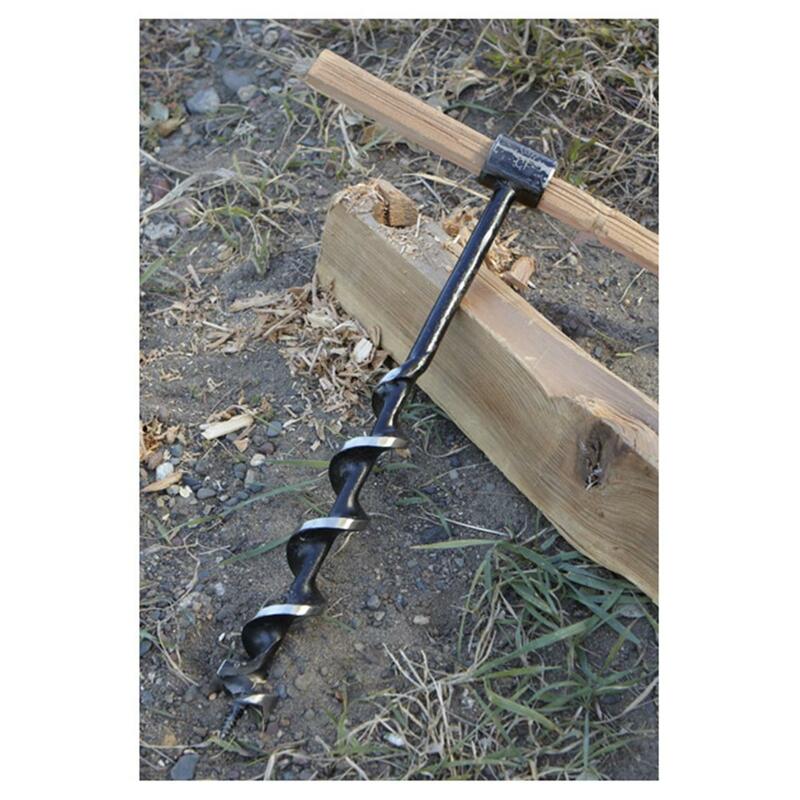 For the collector (or old-school woodworker), a heavy-duty steel Hand Drill with a massive 1 1 / 2 " bore. The bit is 14" long, and has pilot-point twin cutting blades. Uses crossbrace up to 1 1/ 8 " diameter. Condition: Used, army surplus, in good condition.